emilylaurens | Artist, performer, theatre maker. Reconnecting with the wild. Artist, performer, theatre maker. Reconnecting with the wild. Feels like it’s almost the time of year when I can do a review! Especially since my updating of this blog has been very tardy! Most of my work this year has been concentrated on community engagement with the arts for Span Arts in Narberth and Oriel Myrddin in Carmarthen. Both these brilliant local organisations have a really deep commitment to and ethos of bringing arts to the people who do not normally engage with it. At Span Arts I have formed Caring Choirs (with funding from PAVS) – bringing singing sessions to care homes in Pembrokeshire. It has been a really wonderful project with choir leaders Maya Waldman and Molara bringing their own magic to the sessions. As the projects’ coordinator I have had the pleasure of joining sessions and observing the effect singing has on older people, many of whom have dementia. It has been moving and thought provoking to observe and I will write more on it in a separate post. As part of the project I also organized a Singing Tea Party in May (picture below). With Span Arts I have also been working on creating outdoor theatre for children – a subject very close to my heart – at Colby Woodland Gardens, hopefully there will be more of that to come in 2017. I also worked as a lead artist on Narberth Carnival making masks with a Womens Aid group and a giant wild boar with adults with learning disabilities. I started as Community Art Coordinator at Oriel Myrddin in September and my first event was the Big Draw at half term which was very well attended and a really interesting and fun. I have continued to work on Partus with Ruth Jones and Andy Wheddon with fellow singer Maggie Nichols. The piece takes as a starting point a CTG scan of a medicalised labour and birth. The 10ft long paper trace contains ultrasound recordings of a number of bodily rhythms that record the labour. Partus reinterprets and enacts the trace as sound, mediating between mourning the medical-technological intervention in labour and reclaiming the human experience. We performed Partus as part of The Lab’s Platform festival in October. With Feral Theatre I co-created the amazing Thylacine Tribute Caberet for Dark Mountian‘s Base Camp event at Embercombe in September. And created a lantern tombstone to commemorate the passing of the Thylacine 80 years ago as part of Haverfordwest’s annual lantern procession. So. . . Jacob Whittaker made this beautiful film for me towards the end of last year with my lovely pals Rowan Matthiessen and Henry Sears. It’s always difficult to make these kinds of films where you are trying to get across an idea before you have done any serious R&D on it. Having said that I am happy with the look and feel of it and it goes some way to illustrating my vision of the show. 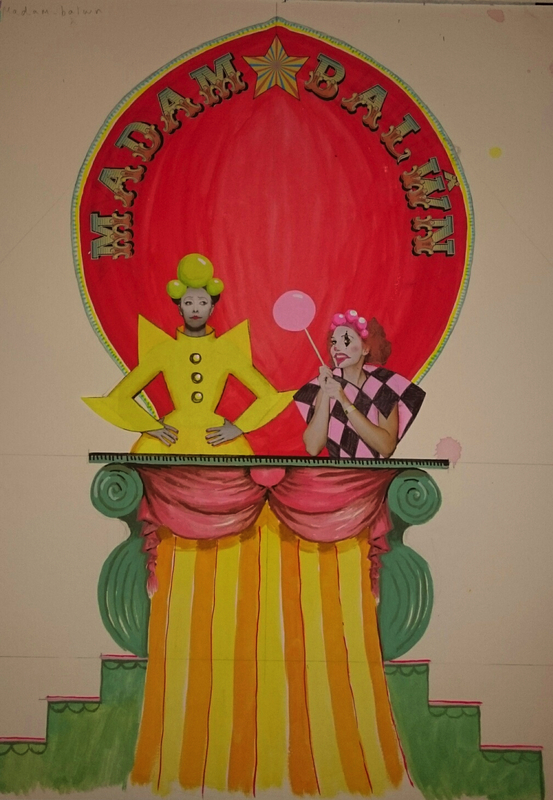 Now I have the wonderful clown director Clare Parry-Jones and puppeteer extraordinaire Mandy Travis on board to do some proper R&D once I get down to my ACW application! Another film – a bit more experimental and filmed on a phone! Exploring some ideas for Madam Balwn with my Feral Theatre colleagues Persephone Pearl (performing) and Rachel Porter (directing). 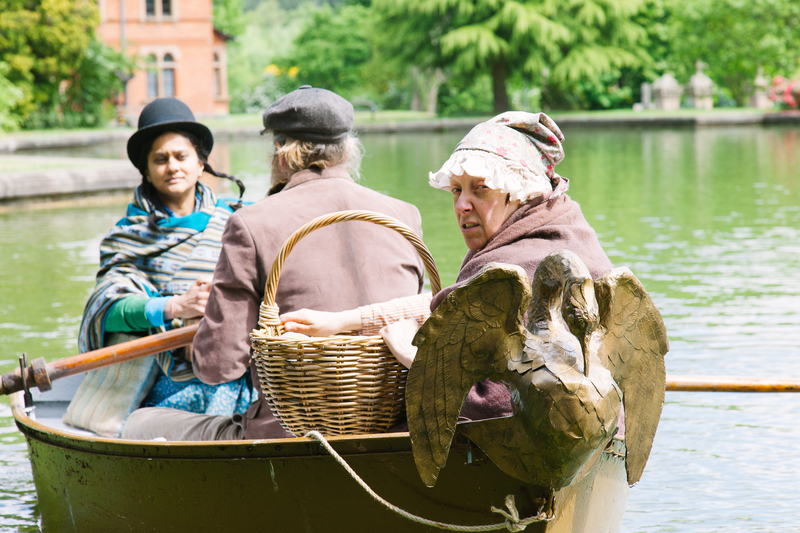 As part of Battersea Arts Centre’s Freshly Scratched in October 2015. Here’s a wonderful film shot by the very talented Lili Simonsson earlier this year. A taster for Feral Theatre’s new work Freaks of Nature. So excited to be going to GDIF this weekend. So many fantastic shows on and I will hopefully get a chance to talk to people about my new show Madam Balwn. In a preposterous circus sideshow booth two rivalrous clowns in spectacular costumes compete to make ever more extravagant balloon creations, doomed to be gnashed to pieces by psychotic puppets. 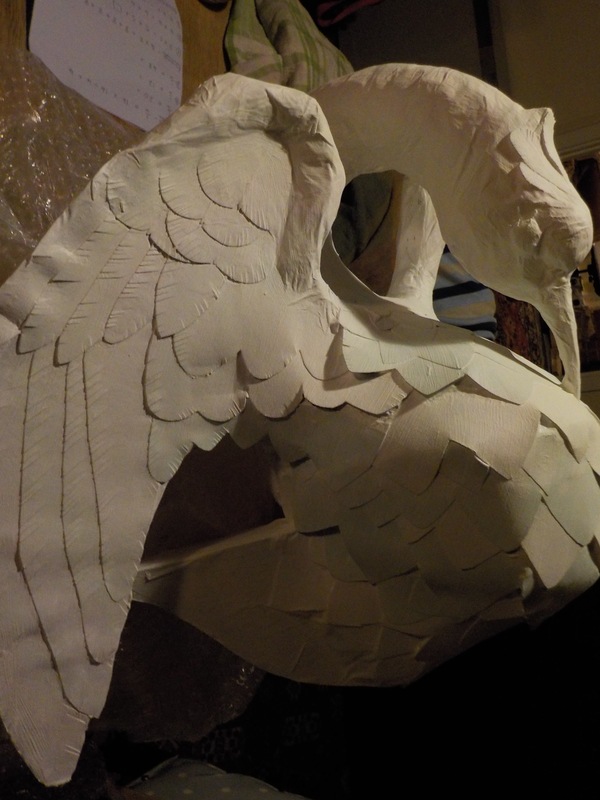 The puppets will be beautifully crafted and operated and will be accompanied by striking and original live music. The piece will be innovative whilst taking inspiration from European street theatre traditions, fusing my Welsh/French heritage. As a non-verbal piece it will be accessible to the hearing impaired, people with learning disabilities, and will work across languages. It will be highly accessible to non-arts audiences. The vignettes will be hilarious, wildly imaginative and provocative. Exploring loss, cycles of life and death, the big and little things we need to let go of in order to live more fully. It will subvert the archetype of the jolly balloon-animal clown, using that playfulness to address complex themes. The piece will see-saw between conflict and co-operation shining a light on the interplay between these urges in our lives and communities. The riotous energy of the piece will be tailored to each audience – a nighttime adult show will vary from a daytime family one within the same structure. The experience for the audience will be captivating, challenging and intense – a blast of thought-provoking madness! I really enjoyed doing some prop making in May. 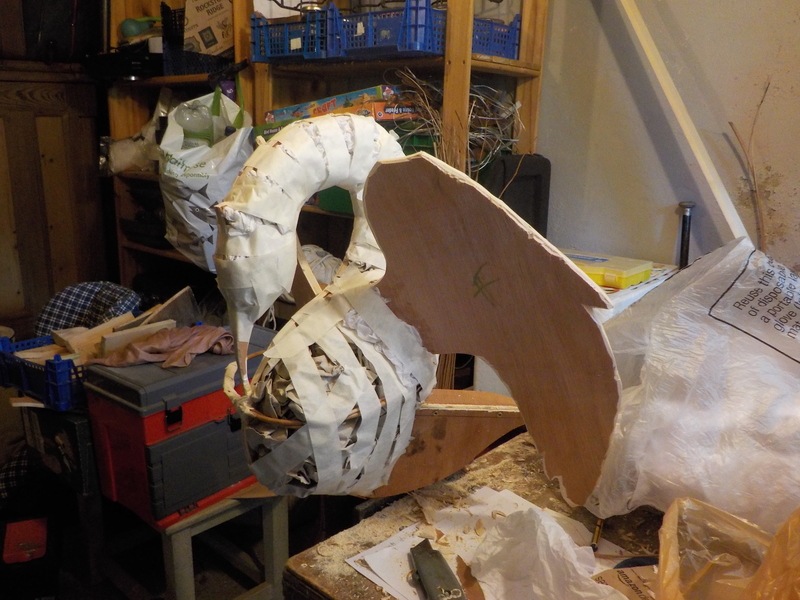 I made this ibis to go on the prow of a rowing boat for Dragon Breath‘s innovative new play A Crack in Time at Papplewick Pumping Station. 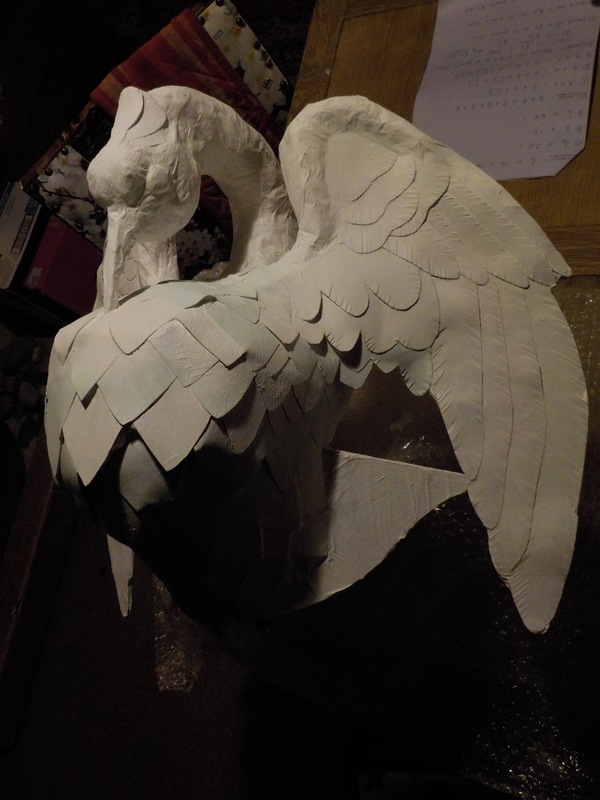 The ibis is mainly constructed of paper and card (my favourite materials) around an plywood armature. Over this I painted gesso (another favourite material) and the ibis was then painted gold when the boat was painted. 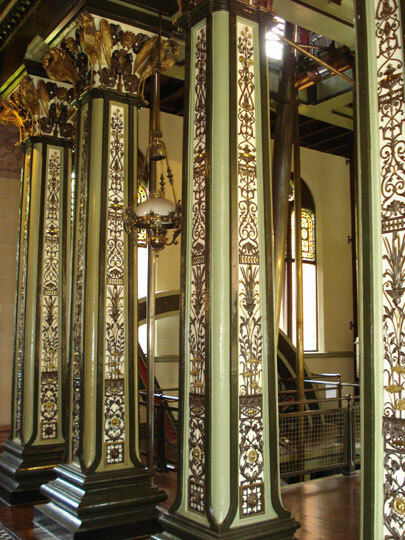 The design was based on the incredibly decorative interior of the pumping station – gold ibises adorn each pillar. It was built in the 1880’s – the heyday of industrial architecture. It seems to me that making utilitarian things beautiful is very laudable but I can’t help thinking that the motivation was more a public display of wealth and power than pure aestheticism . And to me there seems something unsavory about gold Ibises adorning buildings when the living conditions for poor people in Nottingham at the time were horrendous. I was so inspired by this little bit of making that I am planning on working more on my visual art. 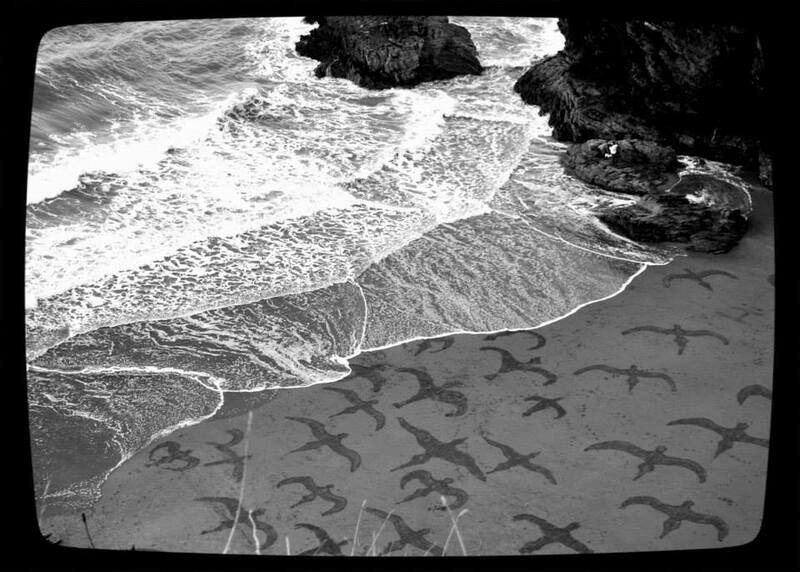 I have a couple of sculptures in mind – watch this space!